An irreverent, entertaining and purposefully extravagant rom-com that also proves a rare Hollywood film with a primarily Asian cast. It's a throwaway joke in a film filled with smarter, funnier dialogue. Still, when Crazy Rich Asians compares its own plot to The Bachelor, the line sticks. The movie doesn't involve women competing for a man on television, thankfully. There's no cheesy host talking the audience through proceedings either, and the flick, while fictional, doesn't feel as fake and contrived as reality TV. But the big-screen adaptation of Kevin Kwan's best-selling novel does willingly, gleefully champion a world of indulgence — a world where romance has to shine twice as bright against the glittering trappings of wealth. And, just like The Bachelor, the film remains both fluffy and breezy and over-the-top and melodramatic at the same time. Of course, there's more than a little winking and nodding evident when Crazy Rich Asians connects its opulent, soap opera-like theatrics to a popular televised dating contest. Director John M. Chu (Now You See Me 2) and his screenwriters Peter Chiarelli (The Proposal) and Adele Lim (TV's Dynasty) know exactly what they're doing, and they're not backing away from it. 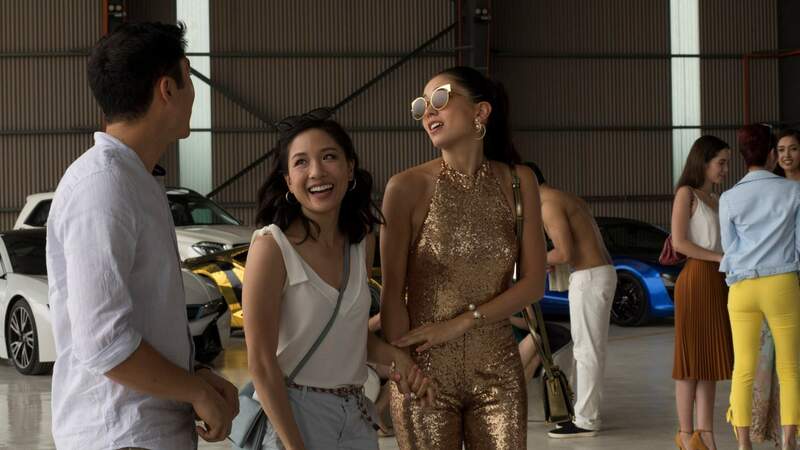 Combining a wealth of elements within its light and luxe confines, Crazy Rich Asians is many things, including extravagant, irreverent and entertaining. It's a rom-com about love and money, a comedy about class and culture clashes, and a modern-day fairytale about an ordinary girl falling for Singapore's equivalent of royalty — and, wholly in the service of its story, it refuses to dial down any of its excess. Indeed, there's a straightforward reason that the movie bathes in ultra-rich glitz and glamour to an almost ostentatious degree: it's giving audiences the same experience as the film's protagonist. One day, Rachel Chu (Constance Wu) is a New York economics professor from a working-class, single-parent household, and simply thinking about finally meeting her boyfriend Nick's (Henry Golding) parents. The next, she's flying first class to Asia, finding out that her beloved is well and truly loaded, and discovering the kind of life such a vast fortune can buy. Like falling down a rabbit hole, she's in unfamiliar, fantastical territory. Expecting to attend a low-key family dinner, she finds herself at a decadent blowout filled with folks wearing evening gowns. Heading to a bachelorette party for one of Nick's pals, she's helicoptered to a private resort. Even when she's just hanging out with her college buddy Peik Lin (Awkwafina), she's sitting in a gold-adorned mansion. What follows is a whirlwind introduction to the filthily, ridiculously rich, and it has consequences within the narrative. Rachel is understandably overwhelmed, Nick's mother Eleanor (Michelle Yeoh) is vocal about her disapproval, and Nick is caught in the middle. Accordingly, as Crazy Rich Asians tracks the chaos that ensues — and the battle between romance, finances and family — the film is devoted to plunging viewers into the lavish lifestyle at its centre in order to align them with its protagonist. Every filmmaking choice ramps up the indulgence, be it in the onslaught of colour, the lingering shots of sumptuous parties and homes, or the upbeat editing. Chu also uses his aesthetics to heighten the story's rampant fantasy, linking the movie not just with The Bachelor, but with fairytales like Cinderella. You can't make a film called Crazy Rich Asians without stressing every part of the title, after all. 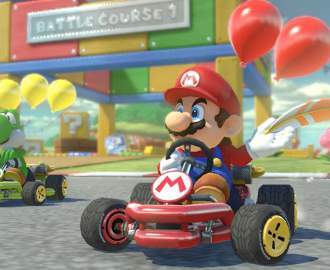 That doesn't just encompass the mania and the wealth, but also the pictures' dedication to representation. Among its many guises, the movie not only presents a rare and refreshing celebration of Asian culture in general, but puts stellar Asian talent front and centre on the cinema screen. Wu is spot-on as the relatable heroine, Yeoh is at her icy best, Ken Jeong and Awkwafina reliably steal scenes, and even Australian TV favourite Ronnie Chieng makes a brief appearance. The very existence of this cast really can't be downplayed — you have to go back to 1993's The Joy Luck Club and 2001's Memoirs of a Geisha to find other Hollywood films starring so many actors of Asian descent. Blend all of the above, and a few things happen. Much of Crazy Rich Asians glimmers with emotion, exuberance and cultural specificity, engagingly and enjoyably so. That said, some parts — its largely by-the-numbers narrative, and the fact that it presents rather than probes its excess-laden surroundings — also prove a little too neat and easy. The end result is a shiny piece of big-screen jewellery filled with gems, and while not every aspect sparkles as much as the next, the overall package still looks and works a treat. Or, to use a different analogy, the film is like the abundance of delicious-looking food that graces its frames: a huge, elaborate banquet that doesn't quite perfect every dish, but nonetheless satisfies the appetite — not to mention sating cravings for something with a bit more flavour than the usual fare.